We are sure you have already noticed one of the trends for Summer 2012: BRIGHT colors! It is the perfect addition to any carefree and fun summer.Not only has the interior design world been induldging into these beautiful hues, but the fashion world has as well. One of the best things about this trend is that it is easy to obtain the look with a few simple additions and replacements. So, end your summer with a bang and hop on the bright color bandwagon– no gloomy days ahead!! 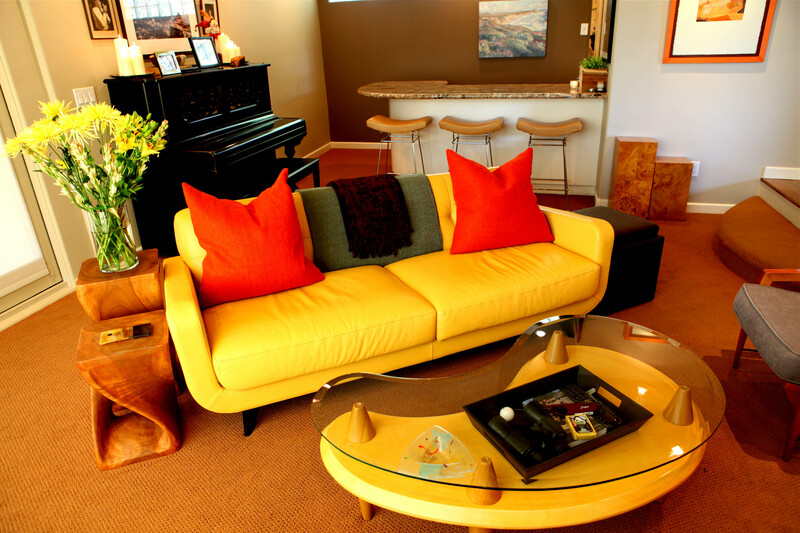 A great bonus about implementing these bright colors is that they can blend with the decor you already have. Think about taking colors from a bouquet of flowers or fresh fruit- they are bright, vibrant and create a postive mood people want to be around. Colors such as yellow sunflowers, wild blueberries, crisp green apples, ect. 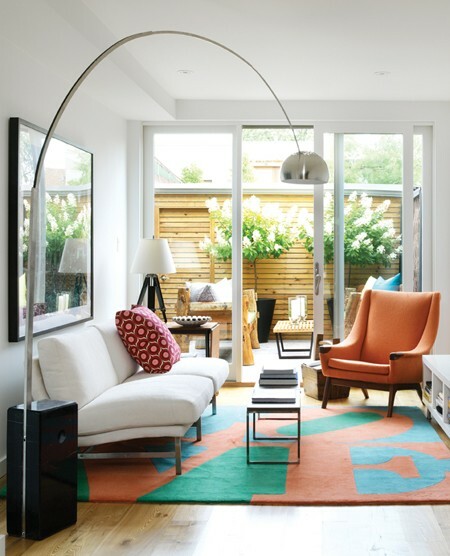 A room can have pops of these brights just like the rooms below. A perfect combination of neutrals and color is a great way to start if you currently have plain palette. Adding a pop of color to your room is very simple. The dining room below is a perfect example of how one simple color can create the entire atmosphere. 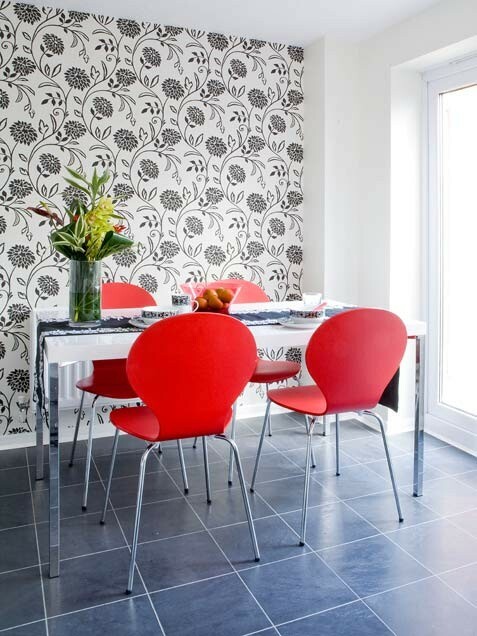 Think about your dining room- can it use a burst of fresh color? If so, try adding color in the chairs, artwork, or adding an area rug. Sorbet colors are another direction into introducing bright colors but with a more muted tone. They are still crisp, clean colors but do not have such a harsh, bold effect to your space. White with a bright color can also create a beautiful and crisp look in your kitchen. 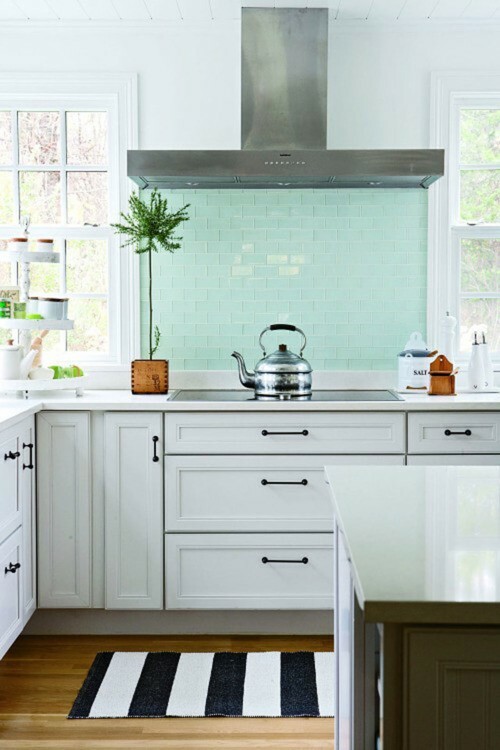 Check out the kitchen below that has only one square of dreamy turquoise. The design took an art-like aproach by blocking off this color and making it the center of attention. You can do this by painting an accent color on one main wall of your kitchen. It could even be done over the weekend! 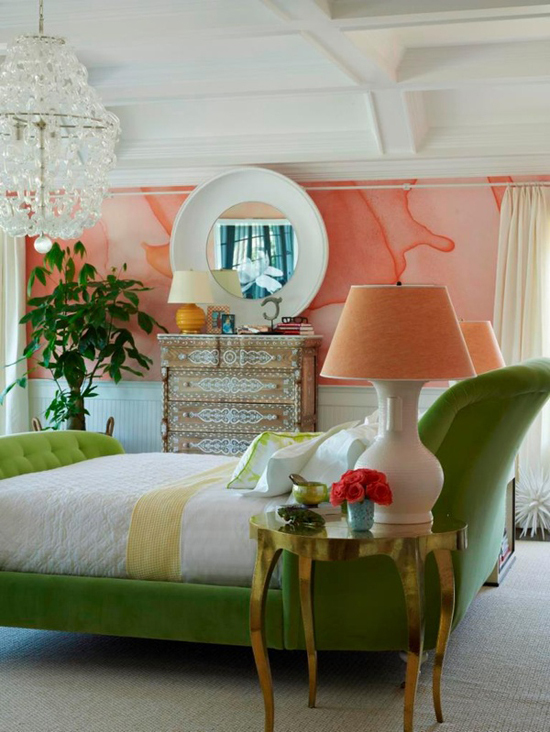 Jonathan Adler is known for his amazingly bright and creative color palette. The pop of color created a lively atmosphere without over-doing it. Of course it is not neccessary to go run out and buy a bright blue sofa or retile your kitchen, so, we picked a few items that will brighten up any room in no time! Remember to keep it simple, have fun, and don’t be afraid of adding a little color to your life! !